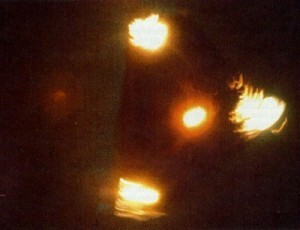 The photograph was taken 21 years ago in 1990 at the height of the Belgian UFO flap and was an instant hit around the world, with many publications using the photo as a kind of banner for the UFO phenomenon. It was known as the Petit-Rechain photo after the Belgian town where it was photographed, but Patrick revealed he and some friends made the model in a short space of time before photographing it some hours later that evening. Patrick said “You can do a lot with a little, we managed to trick everyone with a piece of polystyrene” and he is right. 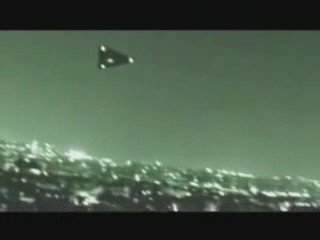 The photograph has kept “experts” busy for years, with many of a ufological persuasion using this as proof of alien visitation. The prank was originally meant to fool some work colleagues at the small business where Patrick worked as a fitter, but quickly went global soon after leaving the walls of the factory. Patrick assumed their deception would be discovered, and takes pride in the fact that it never was. He apologised for fooling so many believers, but clearly got a lot of laughs out of the whole thing after admitting he wouldn’t hesitate to do it all over again. 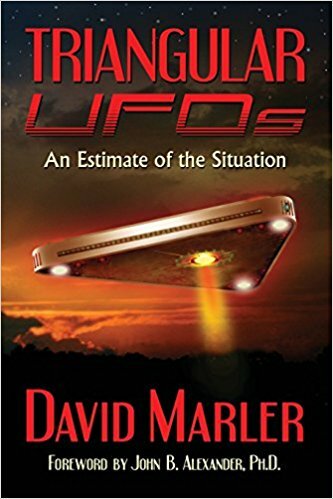 On pages 19-22 there is an in-depth analysis by Roger Paquay which deconstructs various arguments presented by experts on the believer side of the fence, while presenting readers with the most likely explanation of what the image actually is. I have to admit that about 20 years ago I had written a rather inaccurate, misinformed article entitled “Israel, Jews and Anti-Semitism“. Rather than being an article, it was basically my expressions of agreement with what was written in an obscure book written by a Jack Bernstein entitled THE LIFE OF AN AMERICAN JEW (The Noontide Press, 1991), along with some of my comments. 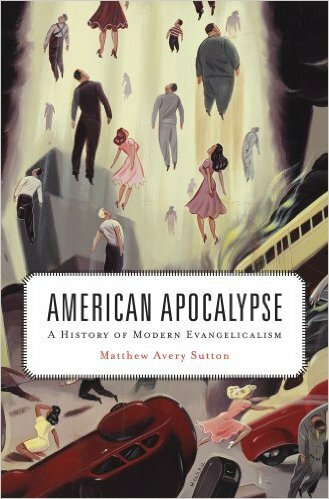 I believe it is time for me to correct my erroneous ideas on the Jewish culture, ethnicity and history. A kind Jewish gentleman has corrected my inaccuracies and I will quote his answers here. “It is important for us to understand that Jews are not one race of people. There are two distinct groups of Jews in the world and they come from two different areas of the world – the Sephardic Jews from the Middle East and North Africa, and the Ashkenazim (plural, Ashkenazi) Jews from Eastern Europe. There are more than two distinct groups of Jews in the world first and foremost. Sephardic Jews are NOT from the Middle East nor North Africa. Sephardic means SPANISH in Hebrew. Sephardic Jews originate from Portugal and Spain historically, and after the Spanish Inquisition, they migrated eastward, mainly setting up in Italy, Greece, Romania, France and Turkey. During the rise of the Byzantine era, many Greek and Turkish Jews fled north to Russia. The Jews of the Middle East and North Africa are actually MIZRAHIM Jews. Mizrah in Hebrew means EASTERN or Man of the East, as in Middle East. These are the closest things to the original descendants of Israelites. They are all over, ranging from Egypt, Iran, Morocco, Jordan, Syria, Lebanon and Tunisia, amongst others. The Jews from North Africa (excluding Morocco which has its own unique history of Judaism) primarily Ethiopia and Sudan, are Beta Israel Jews. They are close descendants of Mizrahim Jews but migrated out of Israel before the Roman overthrow. The Khazars chose Judaism, but it wasn’t for religious reasons. If the Khazars had chose Islam, they would have angered the strong Christian world. 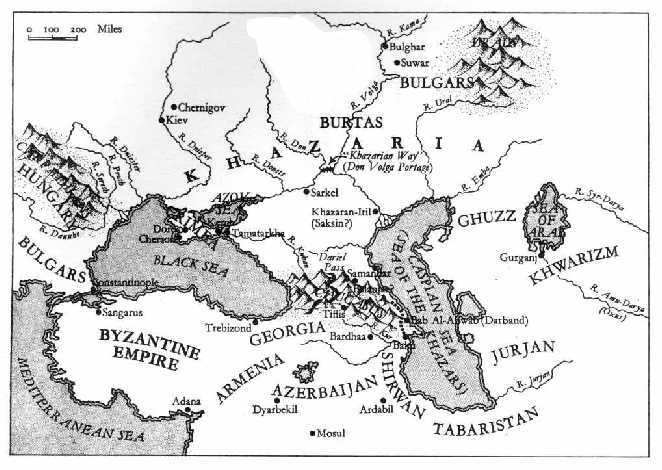 If the Khazars had chosen Christianity, they would have angered the strong Islamic world. So, they played it safe: they chose Judaism. It wasn’t for religious reasons the Khazars chose Judaism; it was for political reasons. This information is very historically inaccurate. The Khazarian Empire, while it did technically last until the 13th Century, saw its true reign of power last from 600 – 900 A.D.
Now that’s out of the way, into more pressing matters. First off this states that Khazars converted in 740. There is historical data showing that in 321 A.D., Emperor Constantine of the Roman Empire make note of Jewish City Council members in Cologne, Germany’s oldest known city. Thus meaning ASHKENAZI JEWS (which translate to GERMANIA as it was called in Roman times) were around occupying current day Germany, Austria and Poland close to five hundred years before the Khazarians even converted. Also, ONLY Jews from the Rhineland (Poland, Germany, Austria) are Ashkenazi Jews. Despite popular opinion, Russian Jews are NOT Ashkenazi by default. While some may have Ashkenazi roots, that more has to do with the oppressive rule of the Prussians in the late 1700 and early 1800’s which led to a huge migration to Russia for Jews. It is also a proven historical fact that the Jews of Europe (Sephardic, Italqim, and Ashkenazi) migrated from WEST TO EAST not the other way around. Another half truth here. The Mizrahim Jews (incorrectly labeled Middle Eastern Jews) lived under great oppression in Palestine and other Muslim countries. I strongly suggest you google the Tunisian Jews and the riots that led to them being ran out of the country. Jews were seen as second class citizens. Jewish households and religious centers could not be built larger than Muslim facilities. Jewish works were severely picked apart and were placed under stricter regulations than the rest of the society. I don’t argue though the term anti Semitic does mean Middle Eastern genetics more so than Jews. “With Palestine as their choice for a homeland, European Ashkenazi Jews began migrating to Palestine. So when you think of Jews, especially as related to Israel, keep in mind that there is a great difference between Sephardic and Ashkenazi Jews. They are not one united people. They are divided socially, politically and especially racially (It is to be noted that there are also quite a number of Anti-Zionist Jews in the world, both among the Sephardic and the Ashkenazi). Bernstein also says: ‘Even though I was an Ashkenazi Jew from the U.S., I was placed lower on list for housing because I had married a Sephardic Jewess. For the first three years of marriage, it was necessary for us to live with Ziva’s (his wife) aunt. This was because of the critical housing shortage in Israel and because of racism. 1) Ashkenazi Jews who have lived in Israel for many years are given first choice. 2) Second in line are Ashkenazi Jews from Europe…especially if they marry an Israeli-born Ashkenazi Jew. 3) the next favored are Ashkenazi Jews from the U.S……especially if they marry an Israeli-born Ashkenazi. 4) Sephardic Jews have the next choice of whatever housing is left. There was some racial divide between Jews earlier in Israel’s history but that has quelled a bit. Though the housing shortage and the “rights” of Ashkenazi over Mizrahim and Sephardics are a bit exasperated here. This article tends to forget to mention that 60% of current day Israelis are either Mizrahim, Beta Israel or Sephardic. The majority of Ashkenazi do not live in Israel, rather in the U.S.A.
“The bottom line is that the Ashkenazi Jews’ claim to Israel as their “birthright” place of origin is not correct. The Sephardics (or the Middle Eastern, or Palestinian Jews) are the “birthright” citizens of Israel. But the Ashkenazi Jews are the most militant, have the most money and are able to manipulate the governments of the world”. Again, Sephardic Jews hold the same claim to Israel as Ashkenazi as they are not middle eastern as portrayed but a mix of western Europeans and Spaniards. And, finally, here is my final statement made in the article. “I believe that the establishment of the State of Israel in 1948, even though it was primarily effectuated by humanistic, political-Zionist movement and has caused and continue to cause untold sufferings to the people of Palestine, was nevertheless a miracle wrought out by God as part of His fulfillment of the prophetic calender in these end-time period we are living in. Yes, it is difficutl to see all this in light of what has been happening in the Middle East. The Israeli/Palestinian crisis will never be solved by human efforts. According to Bible prophecy, there will yet be major Wars in the Middle East, such as the scenario depicted in Ezekiel 38 and the final conflagration known as the Battle of Armageddon. In the meantime, however, every step should be taken towards the peaceful solution to the crisis. Through all this, we must trust in God. The Bible says that God works in mysterious ways that we do not fully understand. His “ways” are not our “ways”. Many times we do not understand His “ways”. His timing is not our timing. But He can still use our humanistic, selfish ways and mistakes in eventually bringing out His program all for His purpose, all in His own time and in His own manner”. 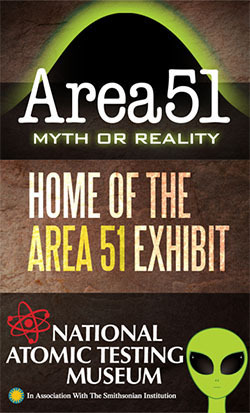 By now everybody knows that the National Atomic Testing Museum in Las Vegas has practically become the “public liaison” organization on behalf of Area 51 in Nevada. It is also common knowledge that they have changed their telephone number a few years ago to reflect their close ties to Area 51. The museum’s telephone number is now (702) 794-5151. 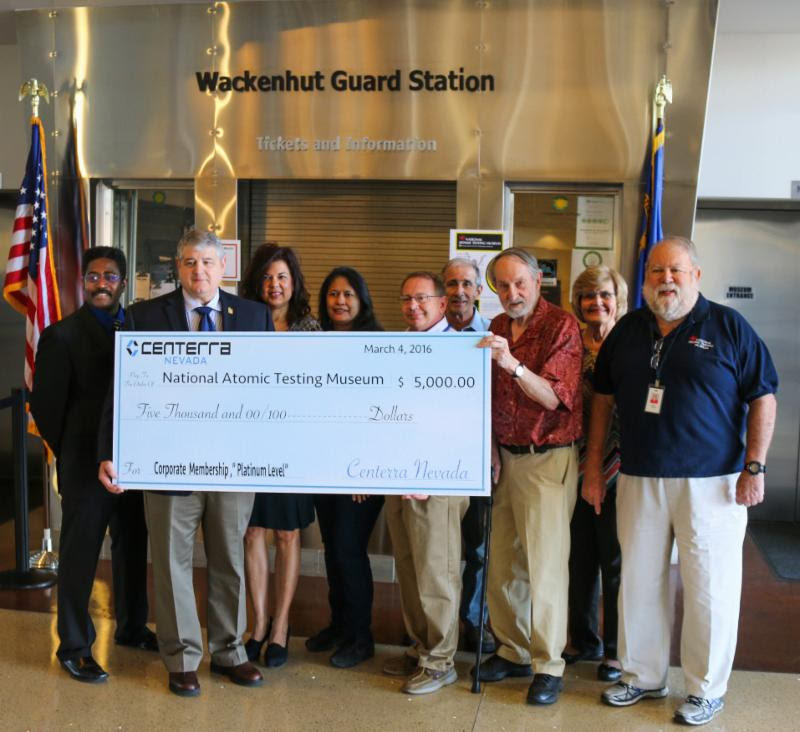 “The NTSHF is proud to announce that Centerra-Nevada, prime security force and system services contractor at the Nevada National Security Site (formerly the Nevada Test Site), has renewed its long-standing corporate membership in support of the Foundation’s National Atomic Testing Museum at the platinum level ($5,000 – $9,999). The check was presented to the Foundation on Friday, March 4, by Centerra’s General Manager, Martin Glasser. 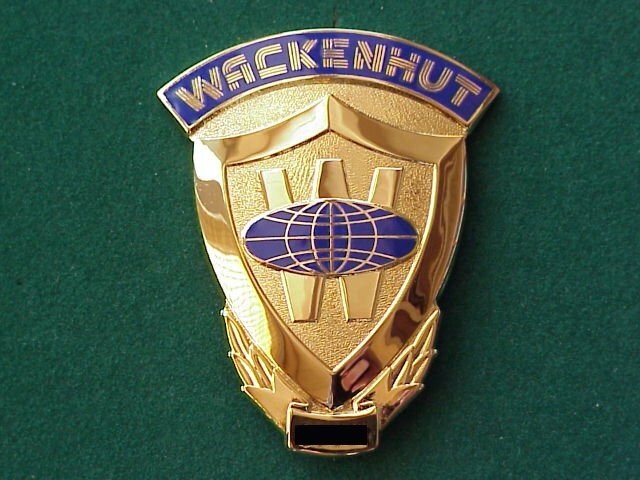 Centerra’s predecessor organizations, G4S Government Solutions and Wackenhut Services, Inc., have been our longest and most loyal corporate partners since the inception of the Foundation. Centerra-Nevada provides a wide range of security services to the NNSS and for Nevada Field Office facilities in North Las Vegas and at Nellis Air Force Base. These include facility protection patrol services, and protection of nuclear materials associated with national stockpile experiments and criticality safety training conducted at the NNSS. Centerra is teamed with Lockeed Martin Corporation for electronic secuity systems support; Pro2Serve for security systems engineering; and Longenecker & Associates for contractor assurance support services. Centerra Group LLC, parent corporation to Centerra-Nevada, was founded in 1960 by George Wackenhut as Wackenhut Services, Incorporated (WSI) which became the prime security services contractor at the Nevada Test Site in the late 1960’s. In addition to the company support provided to the Foundation and Museum, the George Wackenhut family is among the NATM’s largest donors. 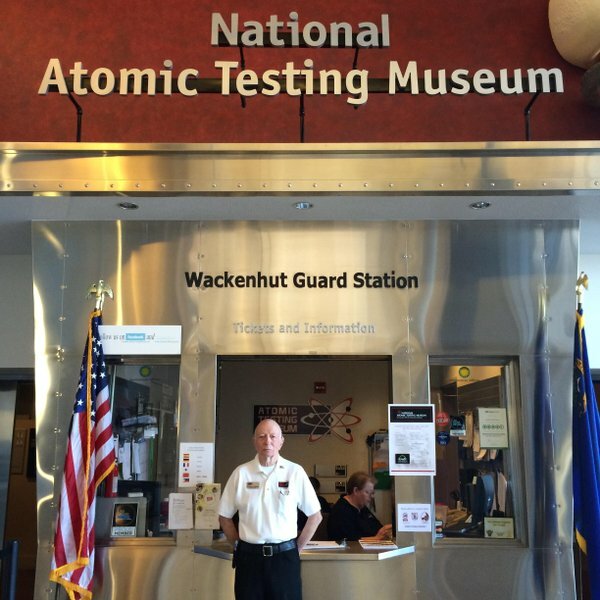 Richard Mingus, former Security Guard at Area 51 (one of the first Security Guards on the base during the Cold War years) and here-to-fore Security Guard at the National Atomic Testing Museum in Las Vegas, is retiring. Richard Mingus announced his retirement after more than 10 years at the Museum. Monday, March 14, starting at 6:00 pm, there will be a special appreciation get-together at the Museum for all co-workers and friends to thank him for his years of service both at Area 51 and at the National Atomic Testing Museum. The asphalt runway stretches for a mile on Yucca Flat, deep in the Nevada National Security Site about 80 miles northwest of Las Vegas. 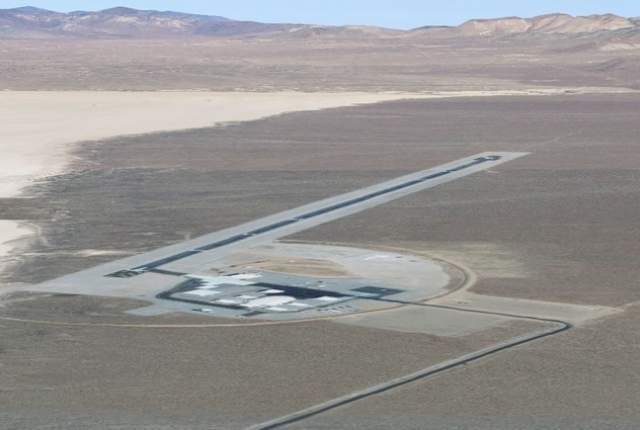 Built in 2005, the runway covers a dirt landing strip from the 1950s, when the wide, flat valley was used for atomic bomb test shots. A small complex of buildings dominated by a large hangar with unusual clamshell doors dominates the southern end of the asphalt strip. The complex has no official name. Not many people even know it’s there. 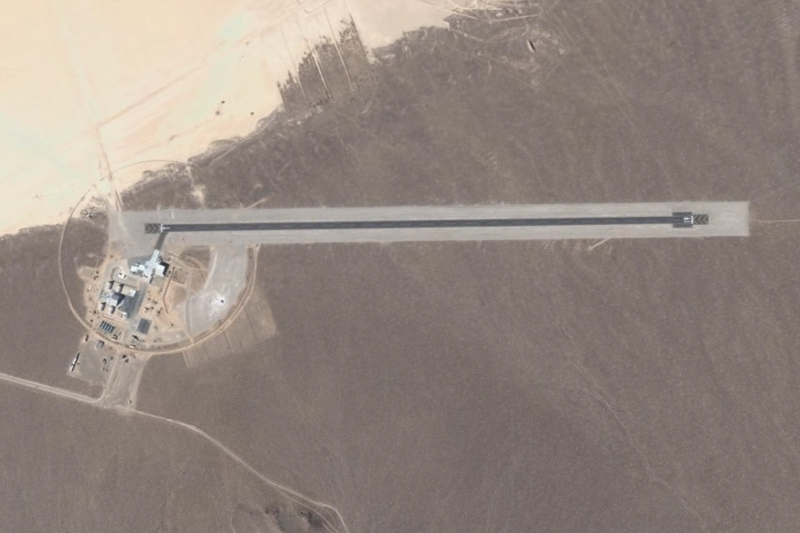 As secret airbases go, the single runway in the test site’s Area 6 is easily overshadowed by the world’s most famous secret military base, Area 51, a dozen miles northeast. 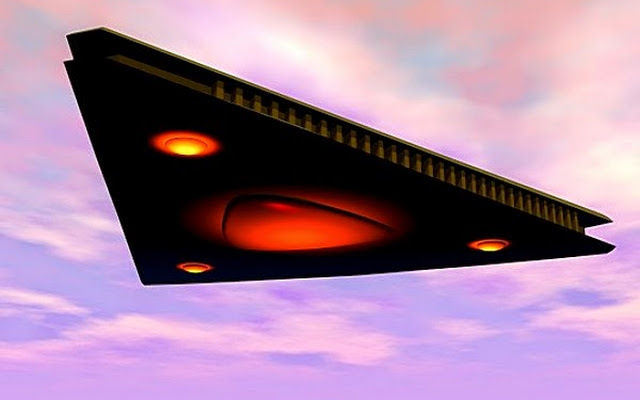 Area 51’s existence was only recently acknowledged, even after decades of speculation by UFO enthusiasts that the aircraft development and test facility also houses space aliens and extraterrestrial technology. 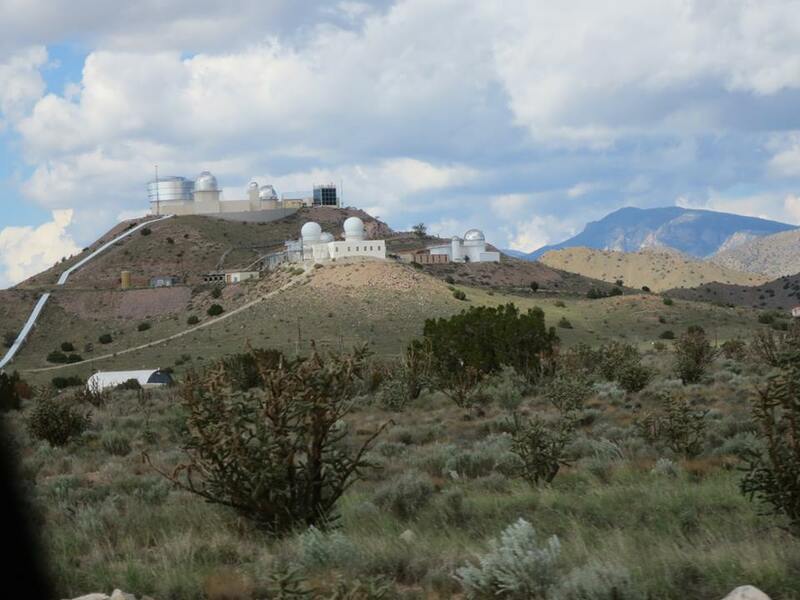 Unlike Area 51, which is protected by shoot-to-kill security and shielded from outside view by mountain ranges, Area 6 has only fences and visitor checkpoints. It can be seen at a distance from tour buses on the highway to historic bomb craters at the northern end of Yucca Flat. But exactly what goes on at the much smaller and much newer Area 6 is still top-secret defense research-and-development work. It’s so hush-hush that the security site’s spokesman can say little about it. Darwin Morgan, a spokesman for the National Nuclear Security Administration, said the low-key Area 6 facilities have been used by the Defense and Homeland Security departments. “They come here to test their own sensors,” he recently said after spending months fending off questions about the Area 6 runway from the Review-Journal. 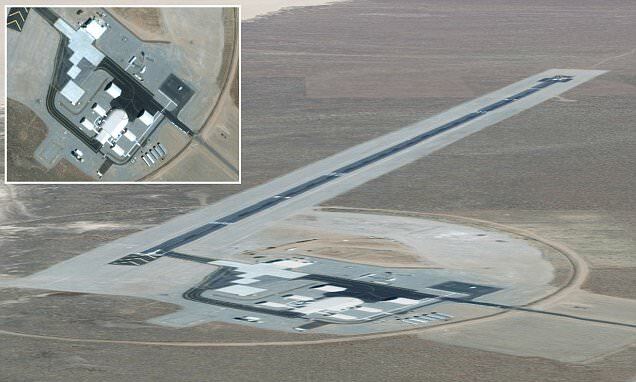 Other than a few “Above Top Secret” forum posts from 2009, and a Wikipedia blurb that cites a 2011 Flightglobal story saying the runway is part of an unmanned aerial vehicle test facility, little has been written about the Area 6 runway. Flightglobal, an aviation industry website, noted a five-sentence description of the Area 6 “aerial operations facility” found in a 7,500-page safety report on the proposed Yucca Mountain nuclear waste project. “The purpose of this facility is to construct, operate, and test a variety of unmanned aerial vehicles. 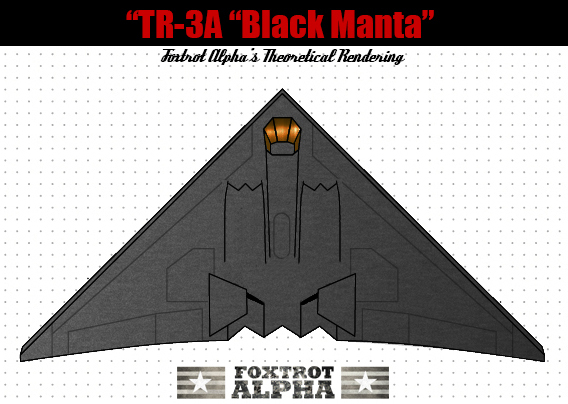 Tests include, but are not limited to, airframe modifications, sensor operation, and onboard computer development. A small, manned chase plane is used to track the unmanned aerial vehicles,” reads the report Energy Department contractor Bechtel SAIC prepared in 2008 for the Yucca Mountain repository license application. The National Nuclear Security Administration is a semi-autonomous branch of the Energy Department. Its Nevada field office, based in North Las Vegas, runs the security site. What it costs to operate Area 6 is difficult to determine. Funding is buried in the Nevada field office’s Strategic Partnership Program, which was part of the $84 million budgeted for the entire security site in fiscal year 2015. Program funding was about 13.5 percent of the field office’s $622 million total budget that year. Biological weapon sources aren’t allowed at the security site, according to its environmental impact statement. Portable radiation monitors and some sensors used in airports and at ports of entry have evolved from the program. Morgan said agencies in the Strategic Partnership Program take advantage of the security site’s restricted airspace to test sensor-equipped aircraft work without public interference or spying from space. “We have controlled airspace and that gives them opportunities to test various types of platforms,” he said. Most of the strategic partnership money comes from Defense Department branches: the Air Force, Army, Navy, Marines, Defense Threat Reduction Agency and the Defense Advanced Research Projects Agency. 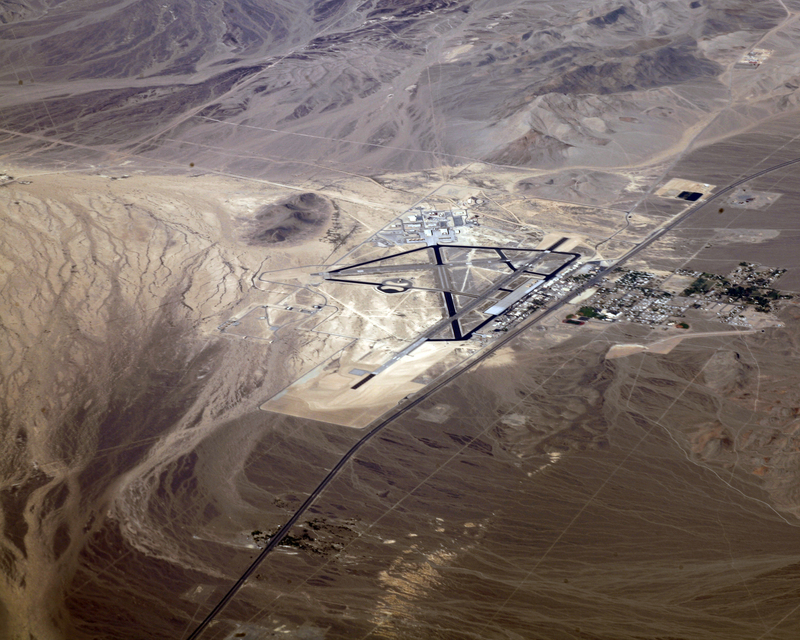 Morgan said the Area 6 runway and its apron were built by Bechtel Nevada, the site’s management and operations contractor at the time, at a cost of $9.6 million. 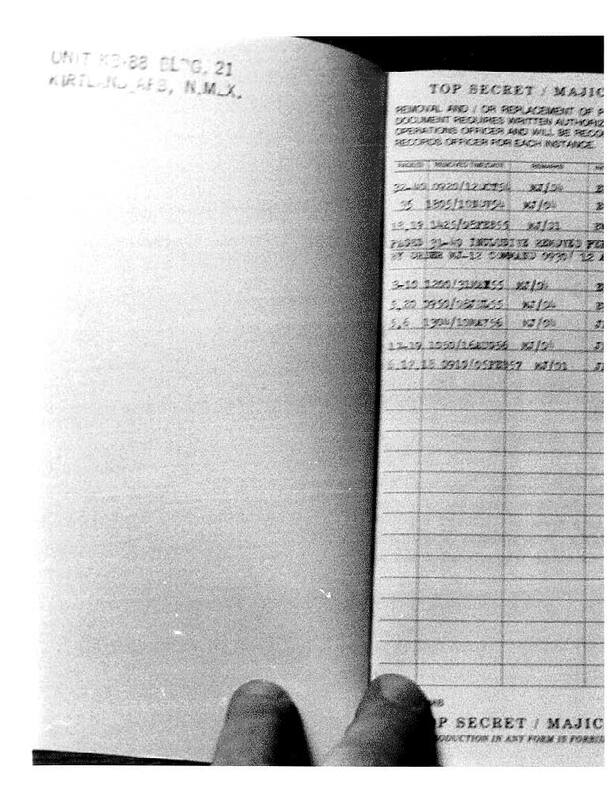 The buildings were constructed over several years, and cost figures aren’t immediately available. As seen from above on Google Earth, the complex is dominated by the clamshell-door hangar and four smaller outbuildings connected by what appear to be covered walkways. Two smaller modern hangars and an older one used during atomic test days round out the facility. Morgan said antennas were installed to allow ground operators to control the flight of unmanned aerial system aircraft. 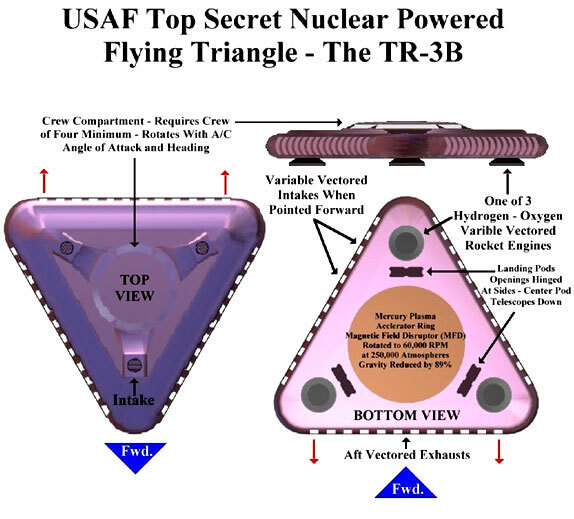 The National Nuclear Security Administration has kept Area 6 so low profile that even defense industry experts were unaware of it. “I had not heard about it,” said John Pike, director of GlobalSecurity.org, an Alexandria, Va.-based defense information website. But Pike’s associate, imagery analyst Tim Brown, has estimated the hangar complex could hold about 15 MQ-9 Reaper remotely piloted spy planes. Pike said the length of the runway suggests Area 6 is used for small planes or remotely piloted aircraft such as Predator and Reaper reconnaissance drones. Bigger spy planes, such as the jet-powered RQ-170 Sentinel unmanned aircraft system, are flown from the Tonopah Test Range by the 30th Reconnaissance Squadron assigned to a Creech Air Force Base wing. It’s unclear if the Sentinel or smaller versions would be flown from Area 6, but Pike said the runway is too small for large jets and bombers. Takeoffs and landings would be tight for an F-16, for example, and an F-15 would need an even longer strip for safe maneuvers. Pike said aircraft likely in use at Area 6 are best suited for surveillance of hidden targets, weapons or personnel on the ground, particularly in sparsely populated areas. 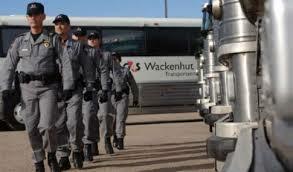 The security site’s high-desert terrain is similar to what might be found in the “boondocks” of Libya, he noted. “I can’t think about a better place to do it where you wouldn’t have civilians stumbling on what you’re doing,” he said in reference to the security site. So what would stray civilians see if they could stumble in? Pike offers an educated guess: Sensor arrays made up of more than 350 smartphone cameras mounted on an MQ-9 Reaper that can record and archive movements of people and vehicles over an area of about 40 square miles. It is known in the unmanned aerial vehicle community as the “Gorgon Stare,” derived from Gorgon monsters of Greek mythology whose gaze was so dreadful it was said to turn a person into stone. 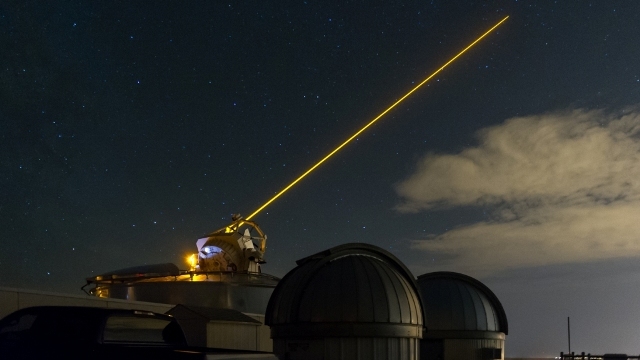 While the sensors can’t do that, they can keep terrorist targets from evading the sights of U.S. weapons. According to the Defense Advanced Research Projects Agency website, sensor development has soared to new heights under ARGUS, or the Autonomous Real-time Ground Ubiquitous Surveillance program. The goal is to “provide at least 130 independently steerable video streams to enable real-time tracking of individual targets throughout the field of view. The ARGUS-IR system will also provide continuous updates of the entire field of view for enhanced situational awareness,” the defense tech agency website says. Pike said improving ARGUS and similar sensor capabilities might be among the activities taking place at Area 6. “The thing you get with ARGUS is time-lapse photography. If there’s a rock out there that’s moving, maybe that’s a rock you ought to be paying attention to. Maybe it has to do with evildoers,” he said. 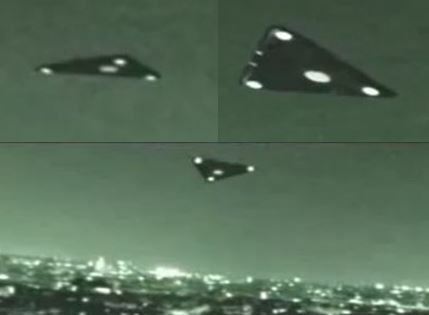 “I would assume they have airplanes and UAVs (unmanned aerial vehicles) they’re flying around out there to see what they can see,” Pike said. Are these satellite images exposing America’s secrets? Coyote Canyon area, adjacent to the alleged “disinformation” staging area for the 1980 “UFO” landing incident…. 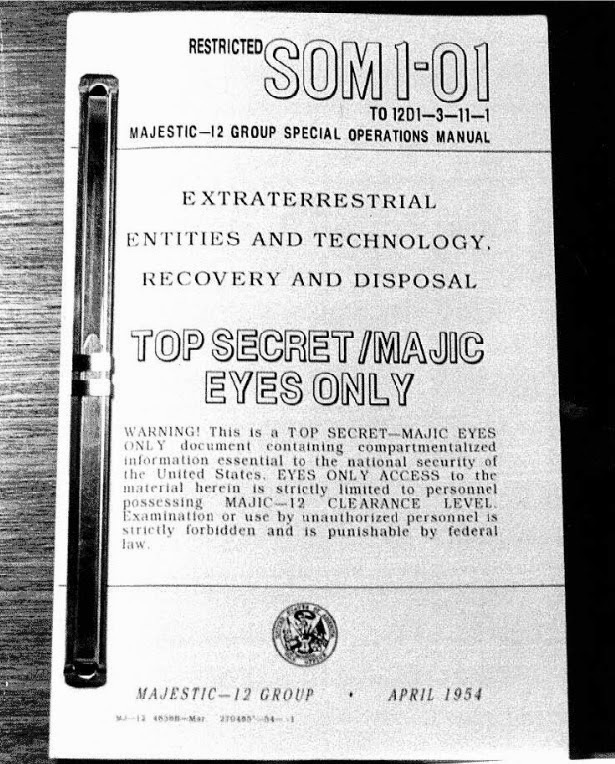 (a cover story created on behalf of Project Starfire as well as other possible clandestine military projects in the area). 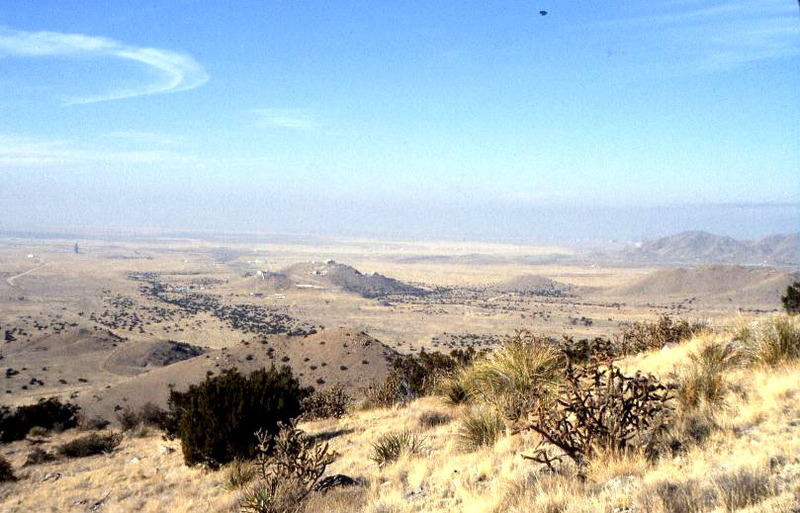 9/16/2011 – KIRTLAND AFB, N.M. — Service members, cyclists, runners and hikers often take advantage of the sunshine, mild weather and the vast open spaces on Kirtland Air Force Base. With the proximity of the mountains and openness at Kirtland, it may be easy to forget that you’re actually on a military installation. However some areas are off-limits. 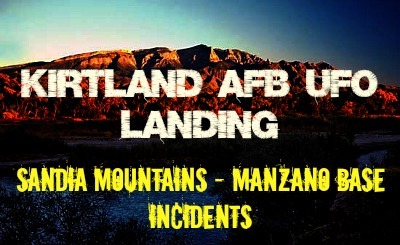 Unless coordinated through the 377th Security Forces Group Combat Arms section or the 377th Air Base Wing Ground Safety office, these areas are off-limits to all personnel at all times. 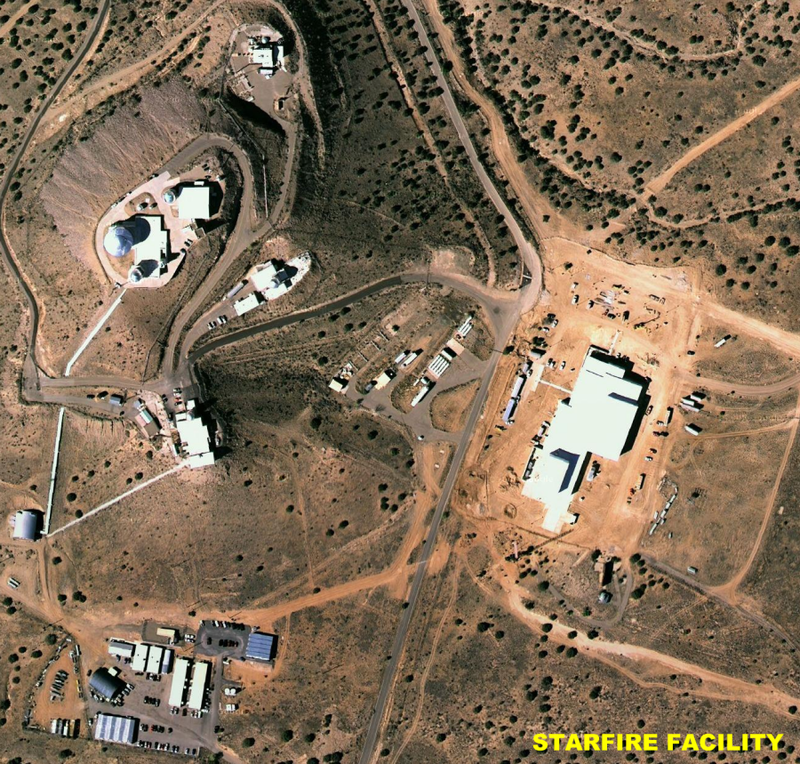 · The Combat Arms facility (including an 850-meter surface danger zone) at Building 706, South Gate Road, near the south gate of Kirtland AFB. 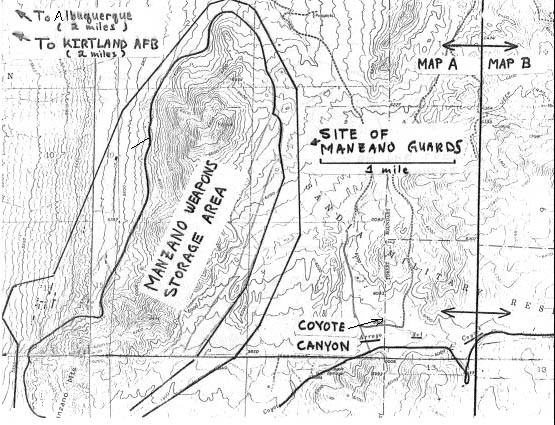 · The security forces special weapons range in Frustration Canyon, approximately two miles southeast of the Starfire Optical Range in the COYOTE CANYON AREA, including the 6,700-meter surface danger zone around the impact area of Mount Washington (including the Manzano Fire Lookout Tower). “People illegally entering these areas will be held liable for their actions, said Hardesty. Violating off-limit areas, for military members will result in charges of failure to obey, a lawful order or regulation. The underlying purpose is to protect the safety of all personnel. Hardesty points out, “Please do not enter any of the surface danger zones on base, even if you think no one is around“. 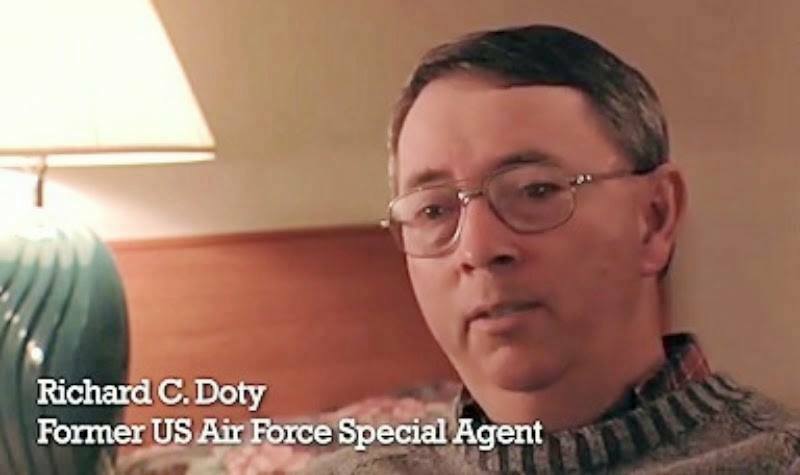 Did Richard C. Doty ruin the life of Albuquerque businessman Paul Bennewitz?